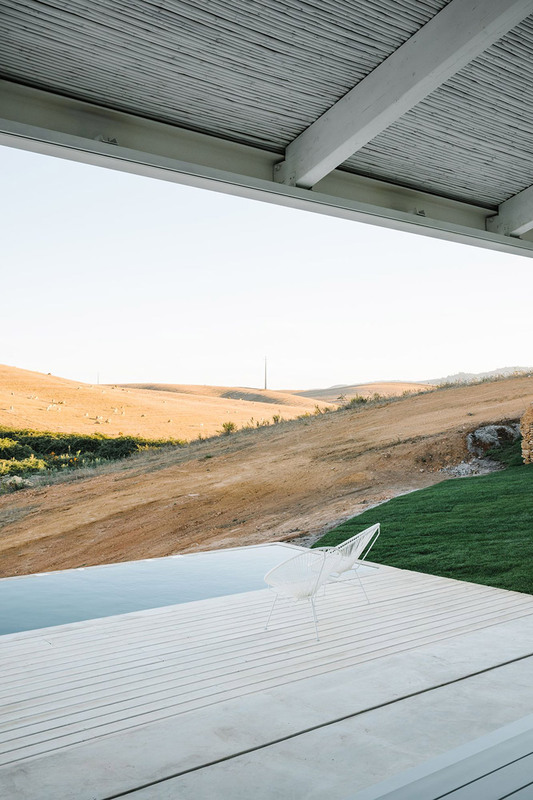 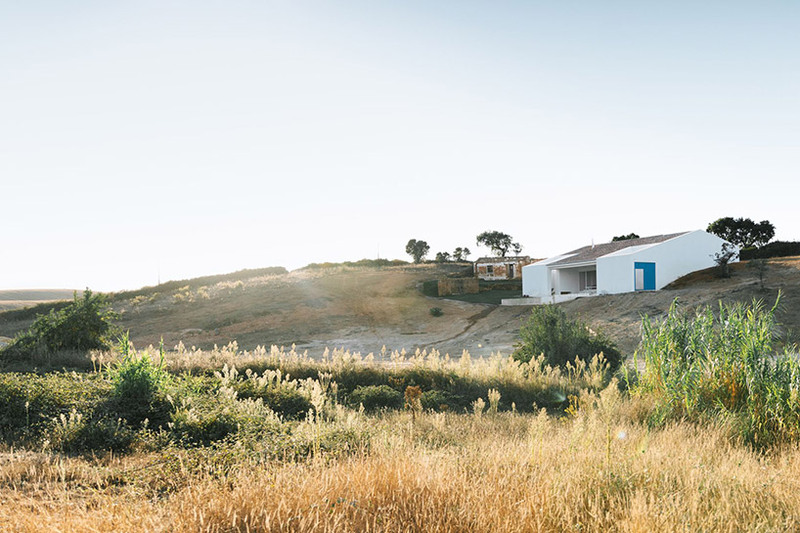 located in alentejo, portugal, cercal house by atelier data is sited on a terrain whose halfpipe morphology is motivated by a water line that crosses it, embedding the residential dwelling in one of the slopes that the river divides. 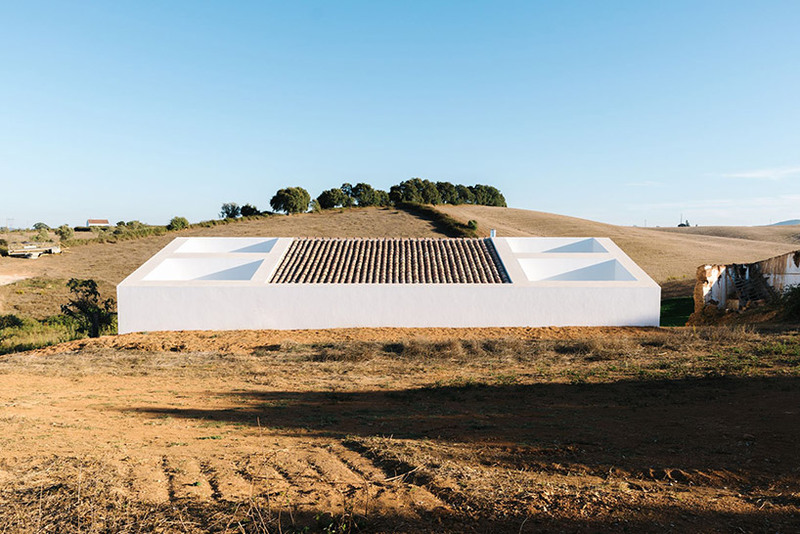 sitting next to the remains of an old construction, the search for the right position and solar orientation, in parallel with a volume that converses with the slope, synthesize the main intervention strategy guidelines. 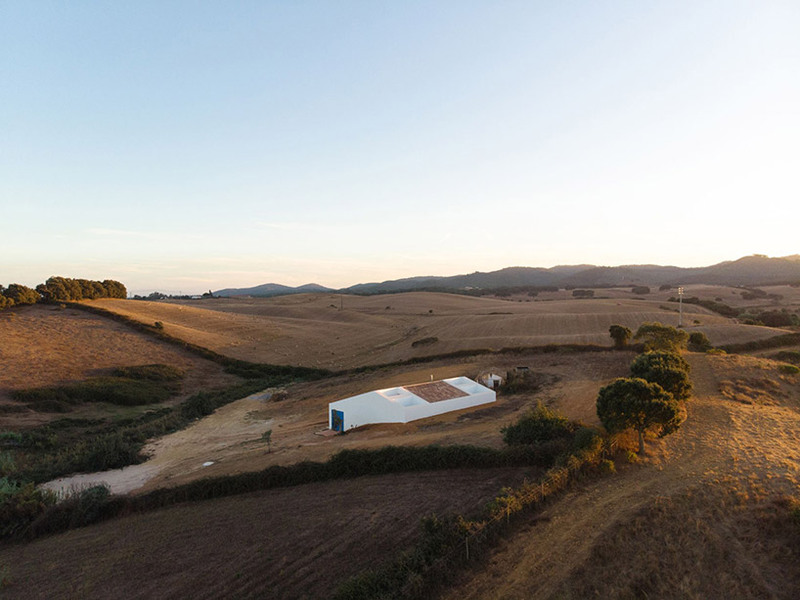 the cercal house by atelier data is thus a proposal that explores the possibilities of a new time and space in a place marked by its novelty. 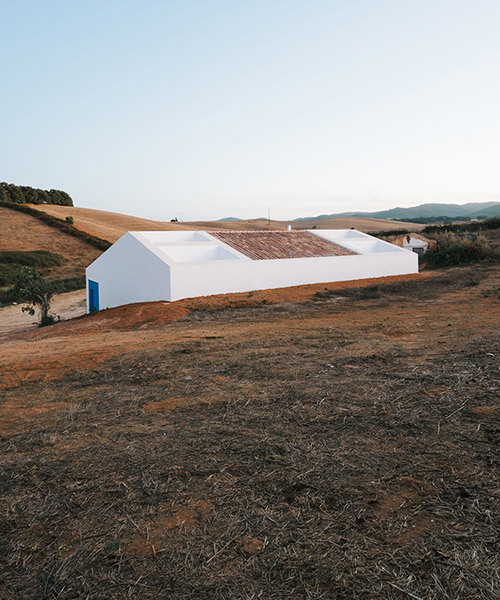 it appeals to the traditional house archetype as a structure that carries a solid memory while it supports for new formal manipulations and spatial interpretations. 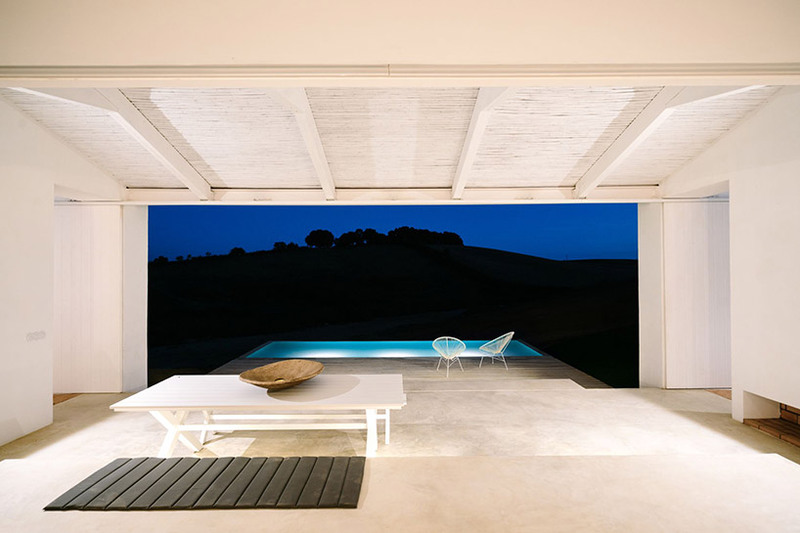 it introduces patios as a light-enhancing element that reflects into the interior, doubling the exterior spaces with a more intimate vocation. 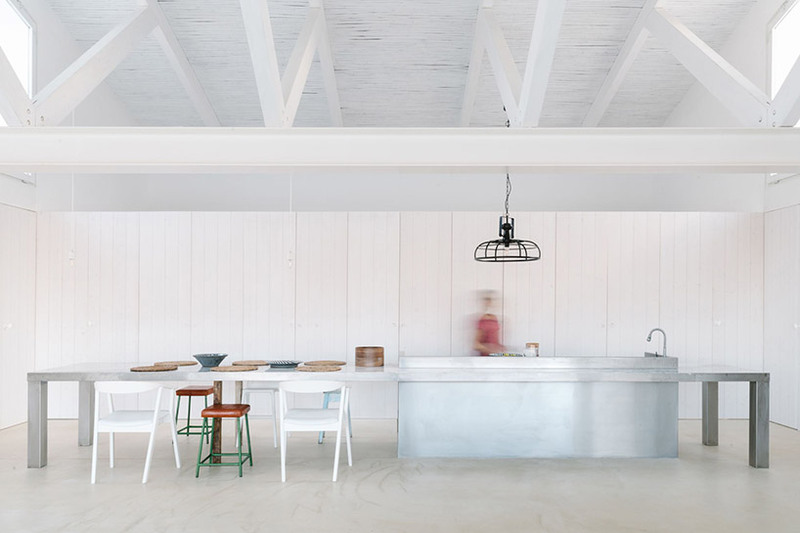 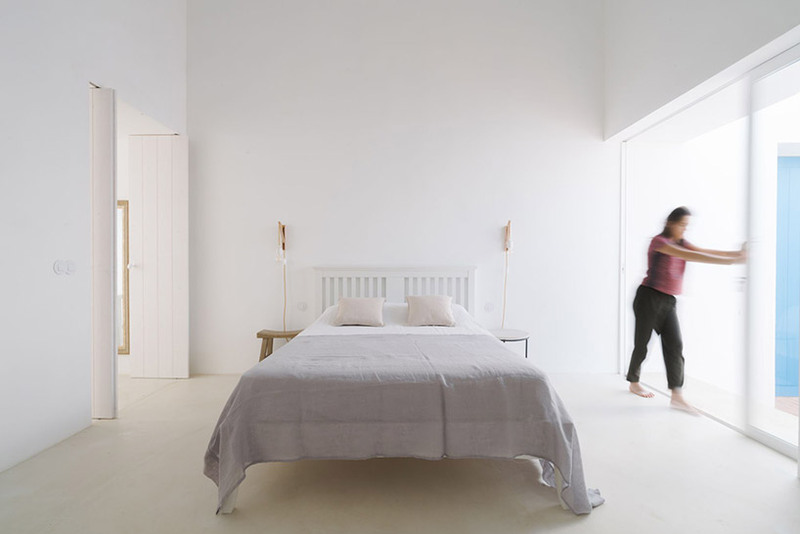 for the functional program, cercal house considers the social area as the centre of the house, around which the rest of the program is organized. 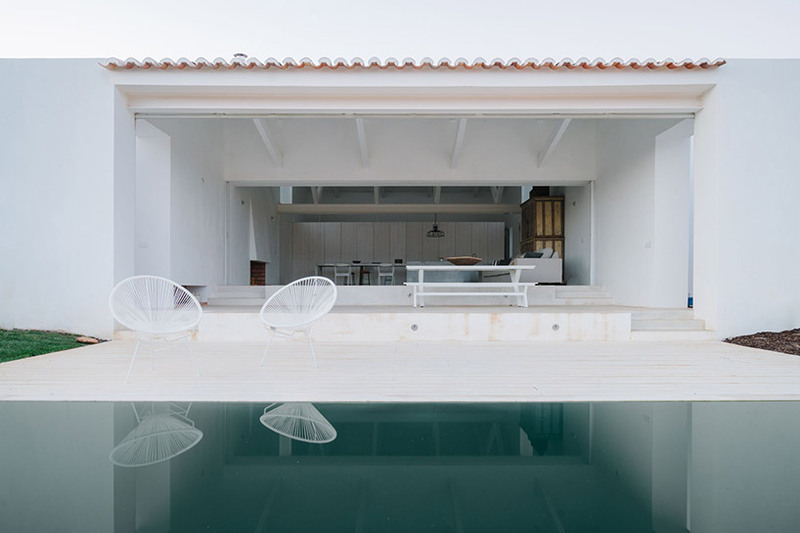 comprising a total of 250 square meters, the house uses local constructive systems and tradition materials, and reinterprets them in a contemporary logic. 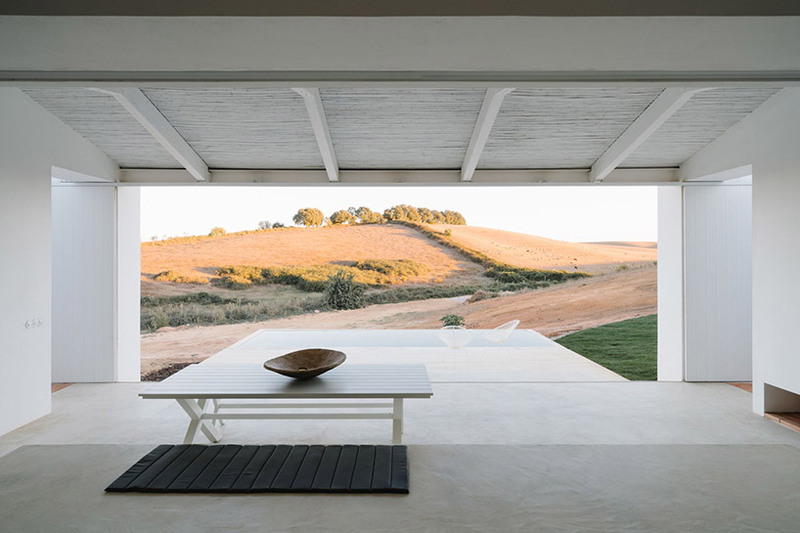 the relationship between interior and exterior has been intensified by extending the roof and projecting a platform that comes from the social area and is topped by a water plan — a tank that builds the platform boundary. 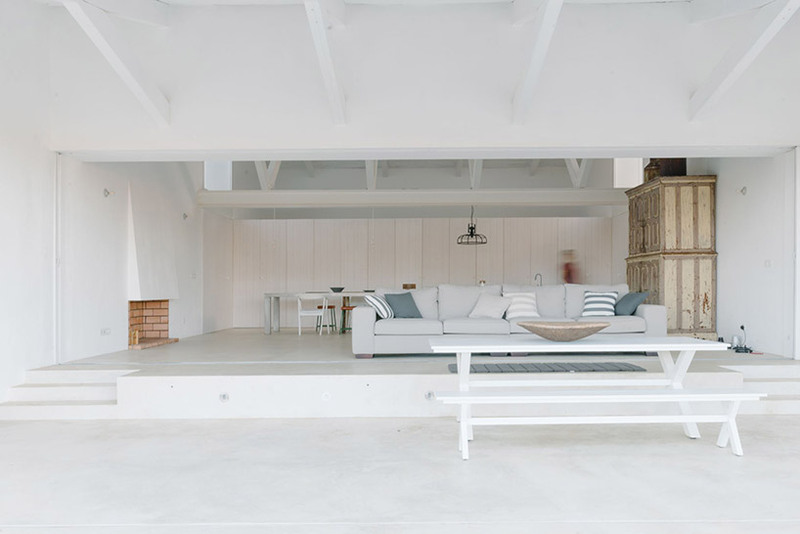 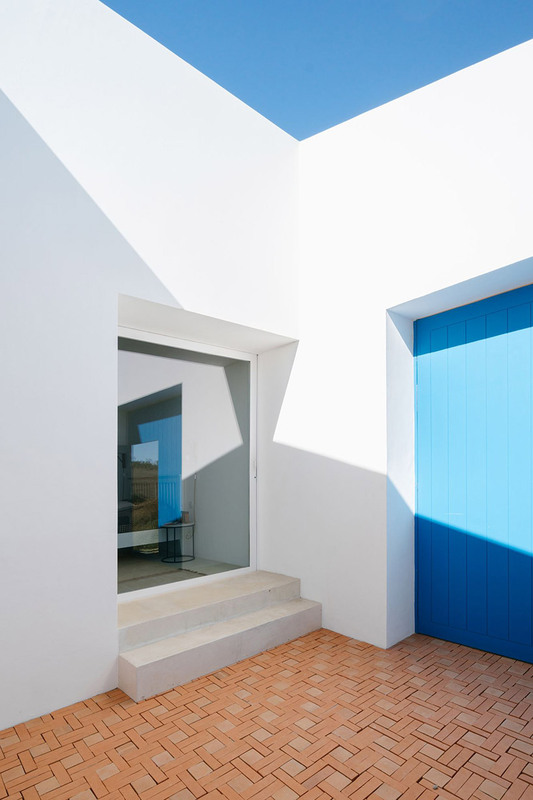 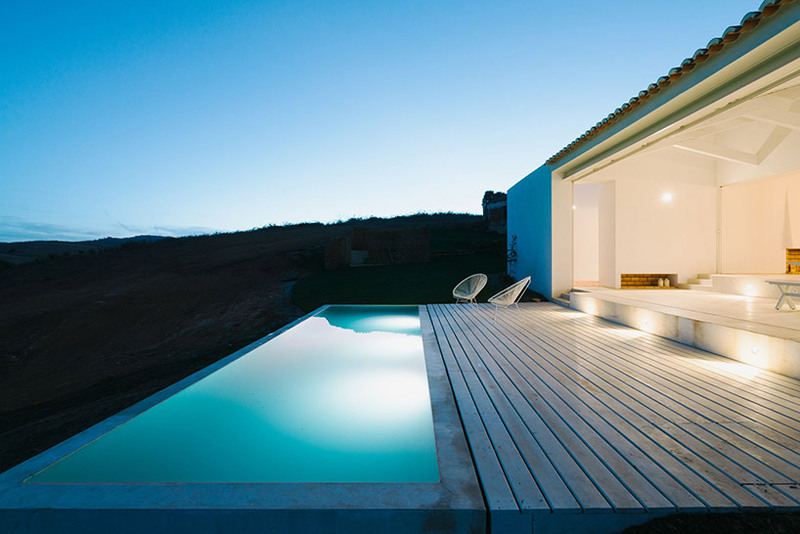 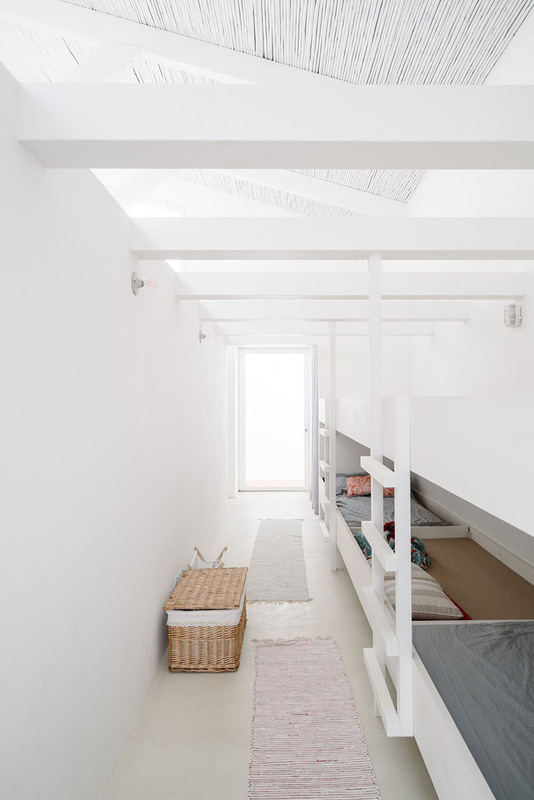 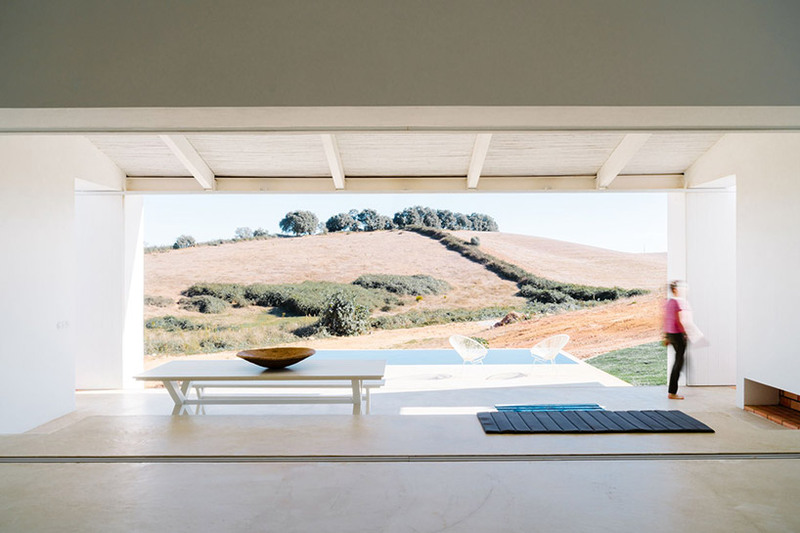 with its prevailing use of white color in walls and floors, the alentejo blue has been applied to contrast in transitory and light elements as the access door to the house.